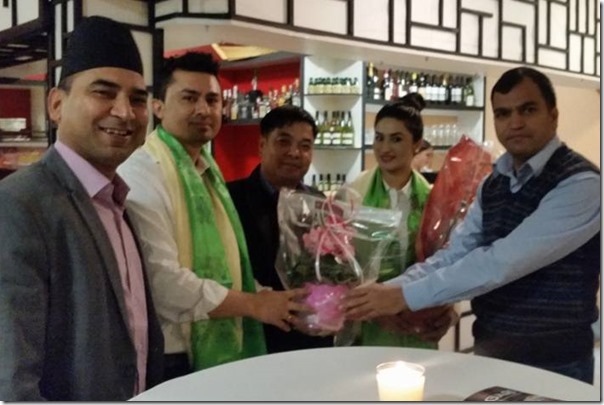 Nepali actress Garima Pant has married a NRN in Belgium, Hari Sharma Thapaliya. According to reports, Thapaliya and Garima are jointly starting a business venture – a sushi restaurant. 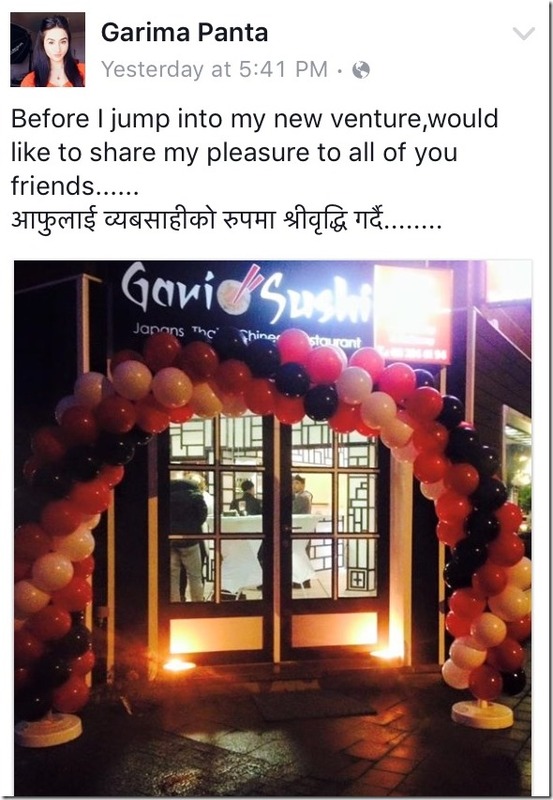 The restaurant named Gari Sushi Japans Restaurant was inaugurated in a ceremony held on January 14, 2016. The restaurant located at Du Boislei 75, Brasschaat features a variety of Asian cuisines. I wrote about the affair between Garima and Thapaliya in April last year after Thapaliya uploaded a photo that looked like Garima Pant from the back. Now, the rumor has turned out to be true. Hari Sharma Thapaliya was previously married to a Chinese woman. They had divorced after Hari met Garima. Hari and Garima had met at the time Garima was in Belgium for a musical program with another actress – Nandita KC and a singer. After that Hari had visited Nepal frequently to be together with Garima and Garima had also visited Belgium from time to time. Although Garima had been active in the Nepali film industry for a long time, she had remained low profile most of the time. Garima’s role in the historical movie, ‘Jhola’ was appreciated and she had also won the Best Actress Award at SAARC Film Festival, held in Sri Lanka. After that, she had also won the National Award for the same movie. Garima had gone to Belgium after Dashain and she had been preparing for the star of the new business. Although she had shared photos of herself during Christmas and New Year, she had avoided sharing the photos of herself with Hari until the inauguration of the restaurant. NepaliActress team would like to wish a very happy married life of Hari Siwakoti and Garima Panta. This entry was posted in Gossips, News and tagged Belgium, Garima Pant, marriage. Bookmark the permalink. 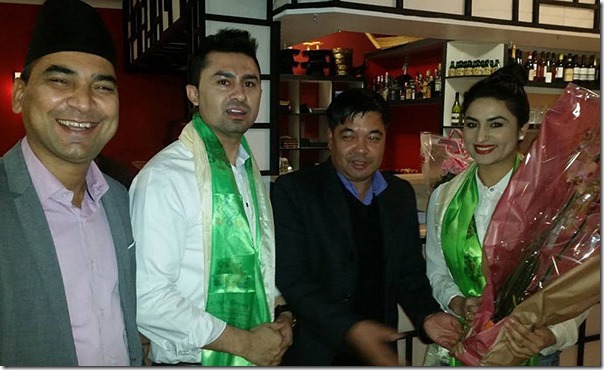 ← Simpal Khanal engaged to UK businessman, another actress lost to marriage ?